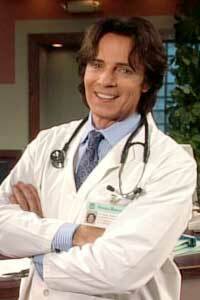 OK, Gen-Xer’s, How many of you were in love with Rick Springfield aka Dr. Noah Drake?? 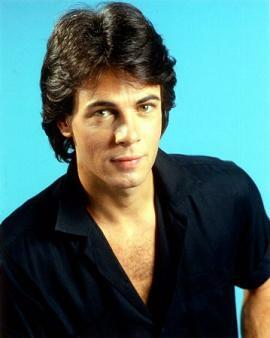 This morning on the news, I heard that he was going to sing for the first time on General Hospital. But the part that made me sit up and take notice was that it mentioned that he was 58 years old. 58!! To say the least, I was a little shocked when they said that. For me, Rick will always be forever young as in his picture above. “Jessie’s Girl“, will always be one of my favorite songs. Why do our favorites grow old? Try to google one of your favorites from the 80’s. You may be surprised on how they look now. I love this list: Are You a Child of the 80s? Looking back and seeing how many of thee things I had or did just cracks me up. Read the list and see how many of them you remember. 1. You owned a *real* Rubik’s cube. 3. You remember when MTV didn’t exist. Alternatively you remember when the M stood for Music, not Mundane. 4. “Alternative” music actually was…and not popular Top 40 tunes. 5. You were a “wanna be”. Madonna, Duran Duran, Michael Jackson, Cyndi Lauper, Boy George, etc. 7. You know how to use a rotary phone. 8. Max Headroom was cool. 9. You know how (or wanted to be able) to Moonwalk! 10. Atari, IntelliVision, TelStar and Coleco were the ultimate gaming systems to own. 11. Leg warmers and headbands alá Pat Benatar once looked really cool to you. 12. You remember when Jordache jeans with a flat-handle comb in the back pocket was cool. 13. Jelly bracelets & shoes! 14. Your hair defied gravity. 15. You are still baffled by the “day glo” clothing trend. * Spend a majority of your time in your late 20s & early 30s obsessing over how much better things were “back then”. * Never let them see you sweat. Hey, Hollywood … Try these next! It’s nearly the middle of summer — Fourth of July weekend is upon us — and so our minds turn to the multiplexes across America, wondering: Where are the sequels that we REALLY want to see? Bruce Willis has his latest version of Die Hard out, and Times film critic Steve Persall says it’s a throwback classic in his review. But isn’t that really a Christmas season movie? What we need are some good ole fashioned sequels to ’80s classics. I’m one step ahead of you.